Musical production celebrates life, work and words of Dr. Martin Luther King Jr.
OXFORD, Miss. 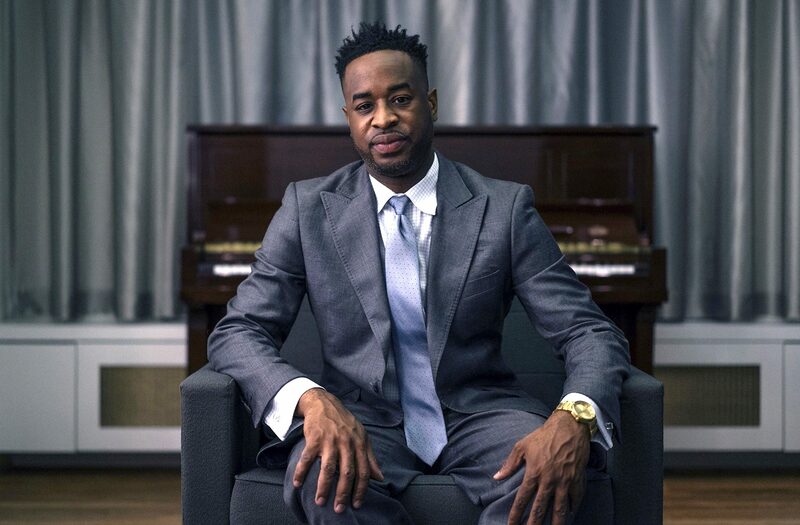 – Versatile recording artist Damien Sneed brings his production of “We Shall Overcome: A Celebration of Martin Luther King Jr.” to the University of Mississippi for a Tuesday (Feb. 12) performance at the Gertrude C. Ford Center for the Performing Arts. This multimedia production combines the culture of African-American music traditions throughout the period of the struggle for civil rights with the spoken words of King. “We Shall Overcome” features a variety of music genres, including traditional and modern gospel, jazz, Broadway, classical and spirituals. “It’s an opportunity for the audience to experience the work of Damien Sneed and hear the words of Martin Luther King Jr. in a different context as well as experience some of the music that was popular in the era and used during the civil rights movement,” said Kate Meacham, Ford Center marketing director. “His song ‘Broken to Minister’ speaks personally to me,” Adams said. “I have listened to that song since high school. Despite what I have been through, the song encourages me that God created me for a purpose – to minister and spread the love of Jesus.